Reports: FBI Agent Who Killed Chechen During Boston Bombing Probe Is Cleared : The Two-Way Twenty-seven-year-old Ibragim Todashev was killed while being questioned by agents in his Orlando home about his friendship with suspected Boston Marathon bomber Tamerlan Tsarnaev. Florida State Attorney Jeff Ashton will not charge an FBI agent who shot and killed a Chechen man being questioned in connection to the twin bombings at the 2013 Boston Marathon, The Boston Globe, the Associated Press and The Washington Post are reporting. All three news organizations are citing two unnamed "law enforcement officials familiar with the investigation." If you remember, 27-year-old Ibragim Todashev was killed while being questioned by agents in his Orlando home. Todashev was a friend of suspected marathon bomber Tamerlan Tsarnaev, who had been killed earlier during a firefight with police. 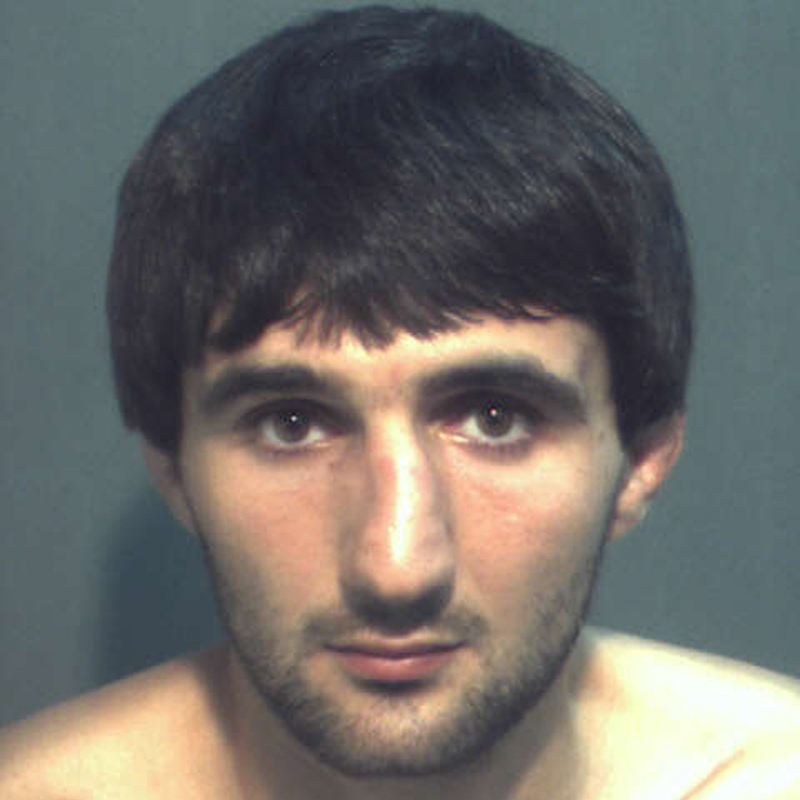 Ibragim Todashev, in an undated booking photo provided by the Orange County (Fla.) Corrections Department. Todashev's father held a press conference days later, saying his son was killed execution style. Photos he produced allegedly showed six gunshot wounds to the torso and one to the back of his head. "The agent suffered a wound to the back of the head that required stitches. It's not clear what first sparked the confrontation. "The investigation's conclusion seemingly brings to an end a 10-month push by Todashev's family and several civil rights organizations for more information about the shooting. "Officials with the Council for American-Islamic Relations (CAIR), a civil rights group that has provided Todashev's family with legal representation, said the investigation's conclusion is troubling. 'Obviously we have a lot of concerns about this, a lot of concerns,' said Hassan Shibly, executive director of the group's Florida chapter. 'We're eagerly waiting to see the full report. We weren't expecting any of this to come out today.'" "Details of the FBI's investigation have been under wraps for most of the past year. The FBI has said only that an agent shot Todashev in his Orlando apartment after Todashev initiated a violent confrontation during an interview with an agent and the Massachusetts State Police. "Anonymous sources have leaked conflicting accounts to the media, inflaming the controversy surrounding the death of Todashev. Some accounts said he was armed; others said he was not."